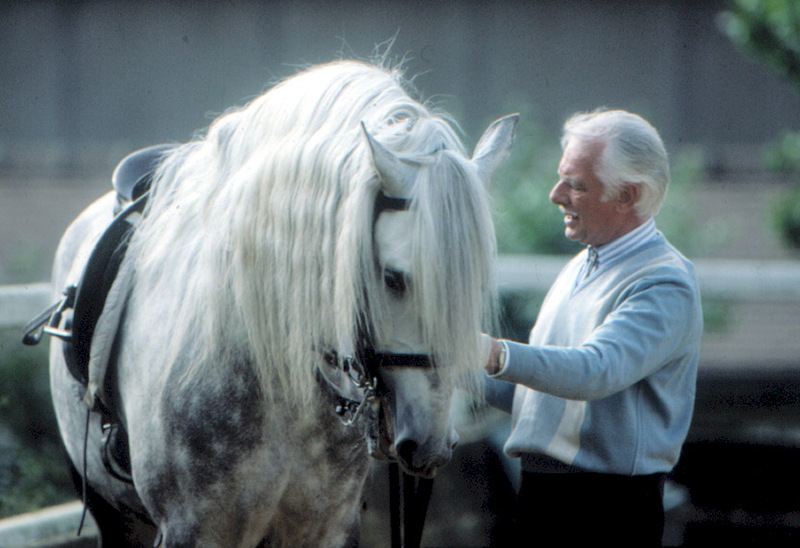 It seems that many of us who love horses and ride have, perhaps accidentally, experienced moments with a horse when we were in such harmony that it seemed the horse literally read our mind…or did we read his? Maybe we grew up riding out on the trail, relaxed and happy, and the horse loved it too. Or, maybe we started riding by taking lessons on a wonderful schoolmaster that took care of us, generously showing us all he knew. That feeling of community where we felt uplifted by our contact with horses is probably what got us hooked on them in the first place. But as time has passed our lives have changed and that simple companionship has too. Something is wrong; all the signs are there. Our horse may be resisting training or performing, and if we admitted it to ourselves, we don’t enjoy competing anymore that much or even riding out on the trail because of the problems we’re encountering. 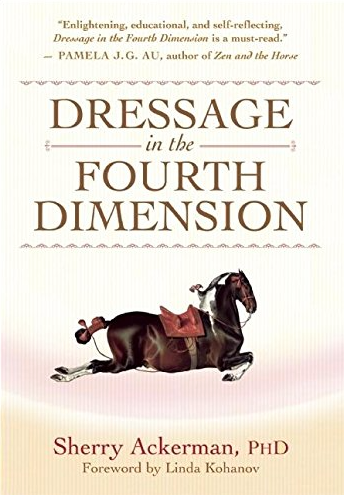 We ask Dr. Ackerman how to identify those issues so can we transform them…to get the flow back between horse and human…to find that Fourth Dimension again. How does this too-busy brain affect our body, and our riding? 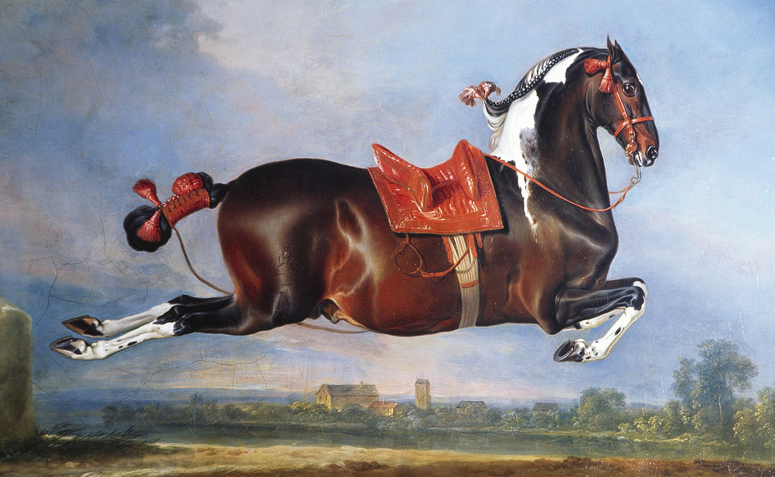 What does it mean to the horse? Speaking of performing well, who is this person who wants to not only perform well, but compete and win? Does the “spirit” of competition get in the way of attaining peace, balance and harmony with our horses? A lot of competition horses look very stressed. 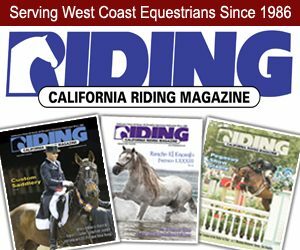 Speaking of discipline, why ride dressage? In her book Dr. Ackerman discusses the stages of alchemical transformation. As the medieval alchemists sought the secrets that would enable them to turn ordinary lead into gold, what qualities in ourselves can we transform to drop our baggage, to expand our awareness and lighten ourselves so that we can ride with our horses into the higher plane of the Fourth Dimension? We do expect so much of them; but let’s turn it around. 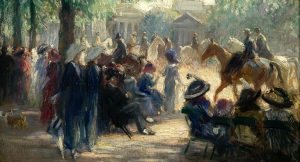 What do horses get out of being with people? But, if I love my horse, won’t that eventually help me fix whatever differences or issues exist? Won’t time and love, and maybe a trainer, solve the problem? Call me sentimental, but I really want to understand my horse’s nature. 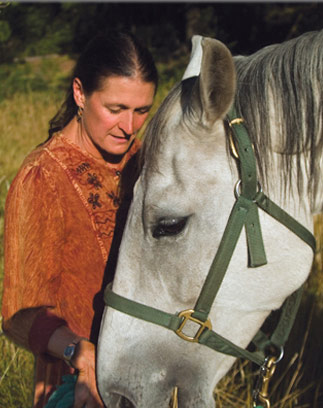 I’m a compassionate person; I certainly want to feel that I’m being kind to my own horse. You mean I have to honor the particular, individual nature of my horse at the same time I am shaping it, and treat him like a horse too? We ask such unnatural things of hoses. Dressage, reining, show jumping…can they possibly like the work we give them, which is sometimes really strenuous? When we’re in over our heads and we’re afraid, we do “tense up” even more. And even people who love horses are sometimes afraid of them. Honor fear? How do you honor fear? Are horses really that sensitive to inconsistencies? 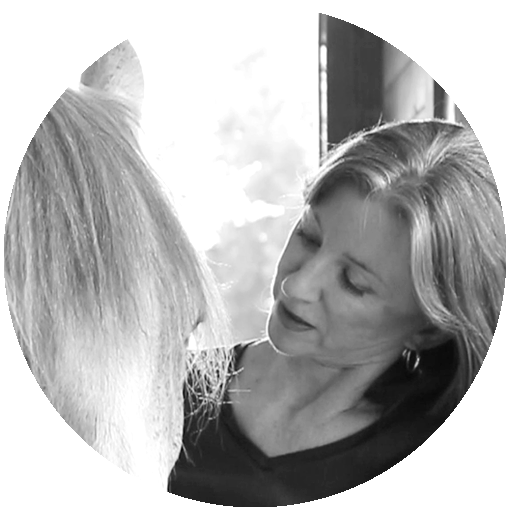 So what do we do to become honest in acknowledging our emotions, about our horses and ourselves, and how does that lead us to the Fourth Dimension? Find out more about Sherry Ackerman and her work at http://sherryackerman.com/Main/BookPage.